The built-in localization mechanism in Silverlight provides the possibility to set your controls in whichever language you need. Up to now the supported languages are English, German, Spanish, French, Dutch, Italian and Turkish. 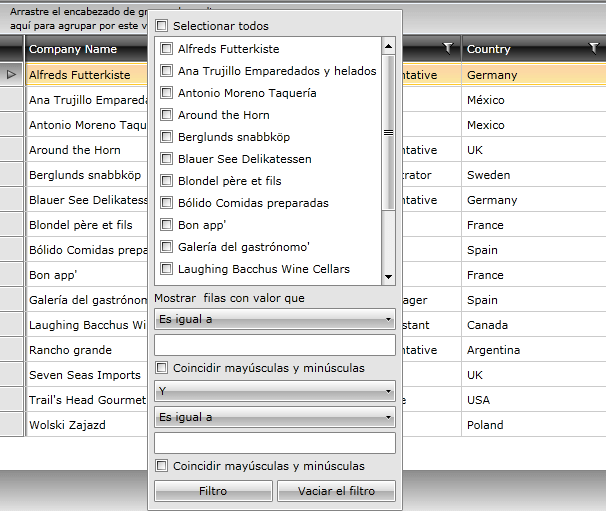 If you want to translate your control in another language, you should use the CustomLocalization Manager, as it is described in the common Localization. You can also learn more on RadGridView Localization. However, in case you aim at loading the right resources automatically by means of culture settings, a couple of things need to be done. Firstly, your project file should be opened in text – mode. 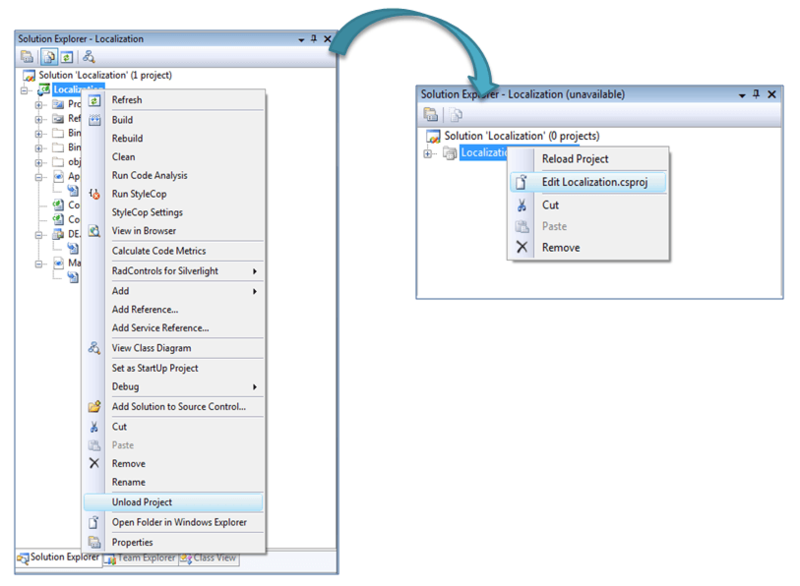 So, go to Visual Studio, right – click on the project and unload it. Thus the framework is notified about the supported cultures and will include the satellite resource assemblies for all Telerik controls. Note that, the resource folders are supposed to be placed along with the binaries you have referenced. Thus, after setting the startup language, all controls will be translated automatically and the application will initialize in the specified language.